Today is like the morning after. The streets are quiet, the drunks are still konked out, and the merriment has subsided. We had to take out the trash and do the laundry and tidy things up a bit to leave the cabin this morning, and now I'm just idling by the Silver Maple again, waiting for the load of laundry to finish a block down the street. The vendors are mostly still asleep, and having already bought a Hawaiian backpack and some books from the library, I think I've done my duty. Among the books I purchased were biographies of James Dean, Winston Churchill, Benjamin Disraeli, and Henry Kissinger. I also got a book on Australia circa 1968 (I don't think much has changed since then - well, that's not true, but it had cool pictures). The books cost five dollars in total, and the backpack cost fifteen dollars. I needed to buy the books to fill the backpack. Made perfect sense. Oh, and I bought a photograph of the Bridgeport valley with the sawtooth ridge in the background. That will be shipped to me, and in a week will cost me forty bucks, but it's signed and I'll put it in my room or office. The lady who sold me the picture is from Lemoore, California, just fifteen minutes or so west of Visalia where my Dad grew up and around which most of my family lives. So, the world grows smaller. I have no real anecdotal irreverence this morning, but I'll fill your basket or bucket soon. There are floats, parades, rodeos, mud wrestling bouts, pie-eating contests, flags, salutes, hot rods, hot dogs, hamburgers, fireworks, fire crackers, bands, orchestras, random government officials, and of course, much merriment. And that's it. It's all about the fun. It's all about the noise and rowdy exuberance. The only reason we celebrate independence and years of strife, conflict, blessings and freedom is to have a decent excuse to throw a rager. We, as Americans need to party. We need a national birthday party complete with all the grandiose things and plenty of our rugged American shadiness. 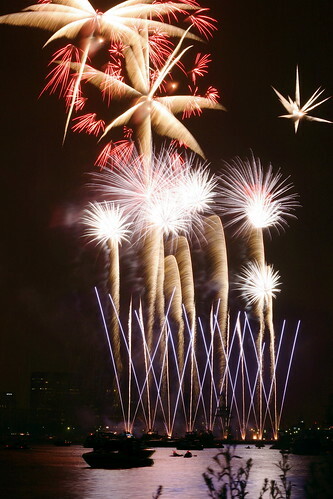 We need the Boston Pops playing as the Charles River lights up from firework barges. We need excess grilling, more burning of wood, charcoal, and anything that will make a fizzle. We need exotic dancers twirling patriotic batons and cowgirls decked out in Mary Kay and ribbons. We deserve it. God bless America. I think you all remember the red handlebar mustached, midget cowboy from Looney Toons. 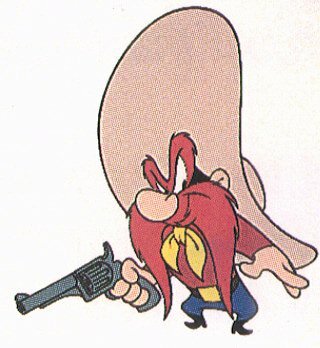 His name is still Yosemite Sam. And, he wants the US government to pay up to the sum of 6,000,000 million dollars for the use of his name with its most profitable and famous national park. Although he says he will take a check, he prefers cash. He also wants all coyotes shot in the park. That is the one stipulation that has made this deal sticky. And, as of yet, neither party will budge. Some people who know him, like Daffy Duck and Porky Pig have encouraged him to drop the suit. Roadrunner and Bugs however are on his side. This hullabaloo has been going on quietly for months now and both the Looney Toons and the US government want to see it come to a expedited conclusion. For now we just wait. Right now I am sitting in a car parked next to a motel in Bridgeport, California called the "Silver Maple." You might wonder why. You also might not care. But allow me to explain. 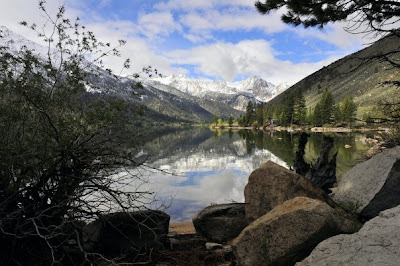 Bridgeport is the little town that is seven miles from my family's cabin in Twin Lakes, California. There is no cell coverage or internet at my cabin. Therefore to get online and check my voicemail, I have to go into Bridgeport. And, having done this before, I know I can tap into the wi-fi at the Silver Maple for free. It's not the best, but it works. Now let me tell you why I love this place. 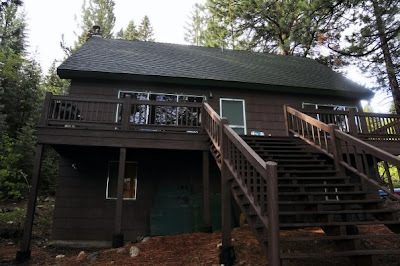 My family has owned the cabin at Twin Lakes since the 1940s. It was built on national forest land so we send lease payments to the government every year (not always so sweet). However, because we are on government land there isn't the rampant commercialism that comes with private residences. There are no obtrusive satellite dishes, no sickly pimped out SUVs, and there are lots of trees and privacy. You also won't find any exotic colors and nasty lawn gnomes. It's just a group of subtle cabins that grace the lake shore. Now cap that with kayaks, a little motor boat, plenty of fishing poles, cozy rooms, a great porch, and big windows and you have a paradisiacal escape. All around the place are things to do or not to do. 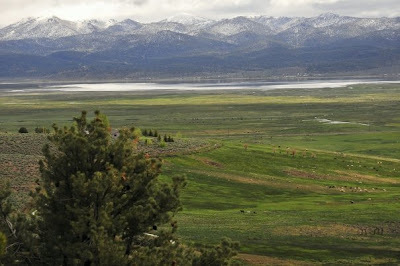 You could, for example, go hiking around the lake and mountains and head over in Yosemite, go fly fishing in the Walker river, go trolling in the lake, go off-roading, horseback riding, shooting, go to the hot springs, visit Mono Lake, go to Bridgeport, or you could visit America's best preserved ghost town, Bodie. Or, of course you could just sun yourself on the porch and read a book. It is a sweet refuge from the hectic world outside the Sierra Nevada mountain range. And, I invite any of you to come and experience it for yourself. Outlawed: In the state of Utah, the word 'poop'. This means that all people who need to defecate must use another word. If one must go to the bathroom, apparently one of the only permissible ways to say it is, "May I go to the bathroom?". However, it is unclear whether it is permissible or politically correct to say "pinch a loaf," or "drop a deuce," or even "drop the Cosby kids off at the pool." However, what we do now know is that saying the word 'poop' in public is no longer permitted. Anyone caught saying it may be exposed to abject humiliation, fines, and possible jail time. The legislature deemed the word 'unsatisfactory' and gave it a subpar rating on their 'word appropriateness scale.' Other words and phrases receiving similarly poor ratings were: gryphendor, high school musical, potty, jamer ramers, flippin', and frickin'. Vigilante enforcement is encouraged by local police and other law enforcement personnel. Recommended methods are bludgeoning via spoon, squeegee, or rolls of duct tape or eating all of their snack food. Rewards for certain at large menaces exceed $500. Billy Madison would be pleased. "That's classy. The middle seat of a van. That's what I'm talking about." He was of course referring to the van seat I was sitting on. We use it as one of our porch benches. I suppose it may have appeared that I was posing for GQ on that bench yesterday, and the van seat made up the difference. But, with such a classy piece of furniture, it's hard not to look at least a littler bit dapper. The seat is not leather, but car fabric. It's a typical gray seat you might find in a '94 Dodge Caravan (although I have no idea what year the car was). The seat has been there for years (even before I moved into this place). And, it has held up remarkably well. It was built to last. Maybe it was a seat from a GMC. Either way, I am honored to sit on it. There was a time when I thought "let's get rid of that thing, it's so tacky." But now, I recognize its unlimited value. It is comfortable, reliable, and it doesn't smell. So many benches age poorly and become eye sores. Not this van bench. It has remained iconic and has its place on our porch forever. There may come a time when our society annihilates itself in some cataclysmic World War III, and archeologists will come back to that spot on my porch and marvel at the van seat. Either that, or everyone will digress to back to the Neolithic age and hunt in tribal groups. Then they will make the van seat their idol. John McCain recently announced a bold new initiative if elected President of the United States. It is called the 'Lexington Project'. Similar to the Manhattan Project and other the Apollo Missions to the moon, it calls upon the American people to put in their best efforts and put their collective minds together to bring about a solution to a growing problem. That problem is Energy. Most people, if not all, want cheap, efficient, reliable, and clean energy. Those who don't generally just want to line their pockets with the money of other people without just recompense. To achieve this affordable, efficient, and clean energy will take a lot of work. John McCain believes however, as I do, that our country can and should be energy independent by 2025. What this means is that we continue to encourage the development of clean coal, and the prudent use of our oil, gas, and coal reserves. It also means that concurrently we must continue to develop green energy like ethanol, wind, and solar power. And, it means that we need to make a greater push to nuclear power, which, with our vast uranium fields, makes sense. To many, the energy picture is seen as mutually exclusive. Or we develop green solutions, or we stick with fossil fuels. This is a false dichotomy. We can use the fossil fuel we have in a clean way, while developing other energy sources and technologies. 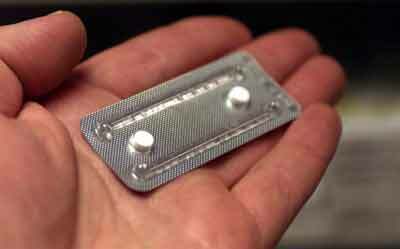 In fact, this is the only way we are going to be able to make a smooth transition. If we stopped using our fossil fuel altogether we would run out of plastic, automobiles, medicines, and everyday conveniences at an alarming rate. And, on top of that, vast oil and coal reserves which serve no other purpose than to be consumed, would sit idle. This is not a call for increased consumption, but a call to consume less, and produce more. We need innovators to refine the process of converting excess wood, corn, garbage, and wheat bi-products into useful energy sources, thereby circumventing the problem of using the corn we eat, and the trees we use for paper. We need innovators to find ways of accessing our oil and coal deposits without depleting the environment. We need to find better ways to sustainable clean energy. There is progress being made, but it involves an educated and motivated populace. We can do it! Currently we receive 40% of our oil from our own blessed country in the US. That number can be increased by careful exploration and extraction from both rich deposits recently found off the gulf coast of the US and the vast reserves we own in Alaska. 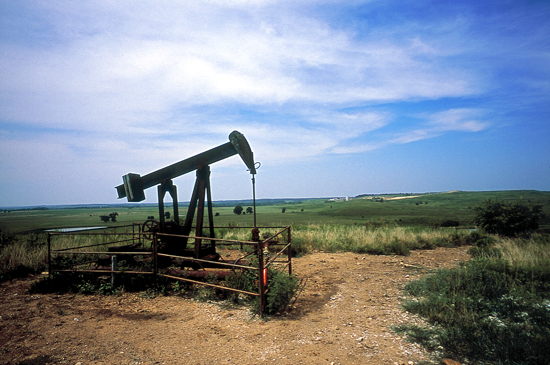 There is also a new microbial procedure which makes old oil wells 90% more effective. It involves putting these microbes into the well, and having them consume certain chemicals and minerals that attach to the crude, allowing the crude to concentrate and push to the surface. This, my friends is innovation! Solar power is vastly unresearched and unused. Wind power is only mildly used. Alaska, in recent years and months has put more research into creating energy by tapping the raw power of its volcanoes! This is innovation. We need more of this. We need to stop throwing billions of dollars into the pockets of tyrannical regimes like that of Venezuela and Iran. We need to be energy independent to maintain our economic superiority and to be good stewards of this great land in which we live. I believe in America, and I know we can do it.